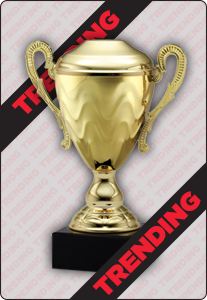 Create a unique award for your next baseball tournament. Our Banner Resin Series – Baseball resin award is the perfect resin for your entire team. Featuring a Baseball Banner flying over a ball and glove, bat, and helmet. Each award can be personalized to your team members using the engraving plate featured on the front of the resin.